Sept 25, 2017—Vancouver, BC: This summer IndigenEYEZ worked with Next Up to host our second Indigenous Youth in Action workshop. 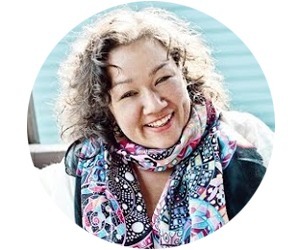 Thank you to IndigenEYEZ co-founder Kim Haxton for another inspiring article. In August, we ran our second Indigenous Youth in Action collaboration between​ ​IndigenEYEZ and Next​ ​Up​. 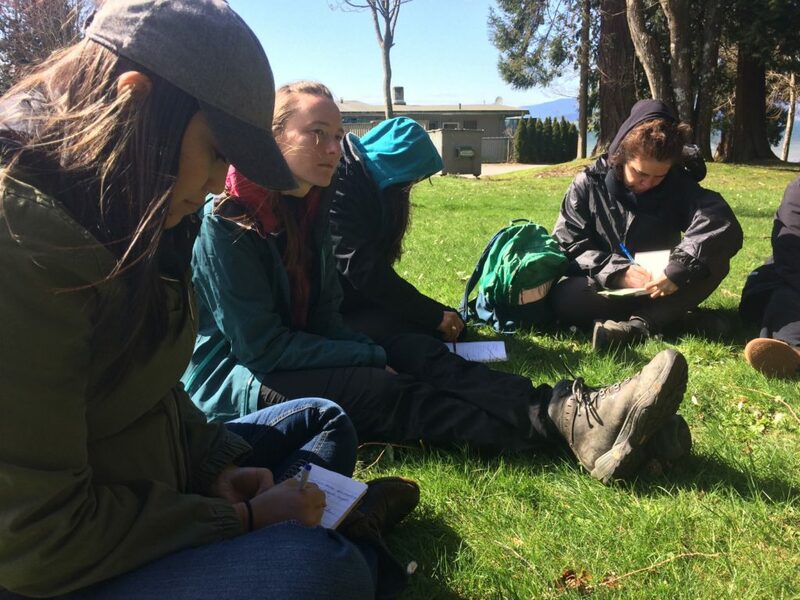 Over four days, we explored Indigenous concepts of land, place, and decolonization. We had very special guests who spoke about settler-colonial notions of linear time. They talked about these constructs and how they are actualized through the Indian Act and Canadian identity narratives, and how they delegitimize Indigenous knowledge, history, and presence. Together we looked at de-colonial practices such as traditional languages and art, along with pre-colonial economic systems. We combined those traditional learnings with an embodied knowledge of Indigenous practices. And we reviewed how centering ourselves in this lived way of being can rupture colonial geographies. By looking further into the politics of what are considered valid ways of being and knowing, we disrupted these narratives so that Indigenous and non-Indigenous peoples can move towards anti-colonial consciousness together. Our guest speakers included Shane​ ​Pointe,​ Grand​ ​Chief​ ​Stewart​ ​Phillip​ ​and​ his wife ​Joan​ ​Phillip,​ Jackie​ ​Wong,​ and Eugene​ ​Kung​. Shane opened our workshop by jokingly asking us not to call him an Elder, but rather to refer to him as a wise guy! He shared that authentic leadership comes from the heart. He spoke of the commitment to the work that is needed at this time in our lives – for our cultures and communities. Shane is a tremendous knowledge keeper (and wise guy! ), and was the perfect person to create the opening for a fruitful time together. 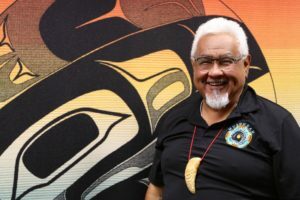 Grand​ ​Chief​ ​Stewart​ ​Phillip​ ​is currently in his 5th term as President of the Union of BC Indian Chiefs. He also serves as Chair of the Okanagan Nation Alliance and has served as Chief of the Penticton Indian Band for 14 years. In 2006, the Okanagan Nation presented him the honorable title of Grand Chief in recognition of his lifetime devotion to the defense of Indigenous title and rights. The Grand Chief eloquently spoke to how his world has been elevated by his wife of 40 years, Joan Phillip. They have been involved in activism for all their time together. When asked about their commitment to this work, the Grand Chief deferred to Joan who said, “I used to be fueled by anger, and this changed, as we have 15 grandchildren. And now our work is fueled by love.” Grand Chief spoke to making change in our communities by being present and showing up. Our very presence can make all the difference in building strong communities. Jackie​ ​Wong was ​our media relations trainer. Jackie is a journalist in Vancouver who writes about race, equity, mental health, and addiction. Earlier this year, she wrote a series about B.C.’s overdose crisis for The Tyee Solutions Society. 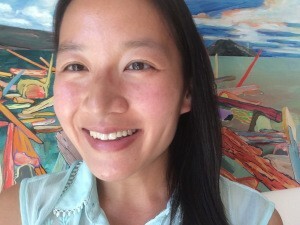 Her upcoming work looks at undocumented people in Vancouver in the age of Donald Trump, as well as racism and colonialism on Canadian university campuses. Jackie mentored the group in how to navigate media interviews to get your message clearly written and spoken about. Eugene​ ​Kung​ is a staff lawyer with West Coast Environmental Law. 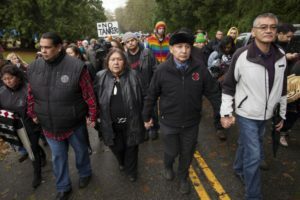 In our time together, Eugene drew upon his expertise as it relates to land defense and Indigenous rights. 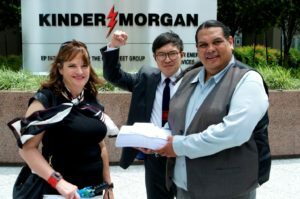 He is currently working on the fight to stop the Kinder Morgan TransMountain expansion project, as well as with RELAW – Revitalizing Indigenous Law for Land, Air and Water. Eugene began his talk with a story about his family’s migration to Coast Salish territories. He linked this to his decision to pursue law as a tool for social change and his passion for navigating Canadian law with guidance from the traditional laws of Indigenous nations. Engaging youth in understanding the policies that affect us as Indigenous people is important for the road ahead. Each of the youth who participated in the Indigenous Youth In Action program are already leaders in their communities working on issues from employment to addictions to social justice. It was a wonderful experience to support their work by developing their skills, connecting them into a broader community, and strengthening a movement of youth leadership. It was exciting to empower new strong voices to challenge colonial narratives through a co-creative model that creates brand-new possibilities. Truly, the path to a better future is guided by wisdom from the past. 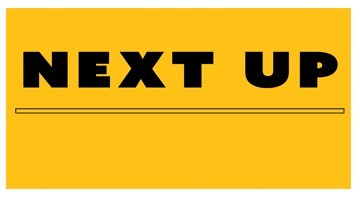 IndigenEYEZ is proud to have Next Up as a partner. Next Up runs programs across the country to train and grow emerging progressive leadership.